FOREVER 21, ZEE LIFESTYLE and VASELINE has successfully and fabulously staged ‘Sunstyle Summer Skin and Fashion Fest 2013’ on April 20 at SM Lanang Premier here in Davao City. 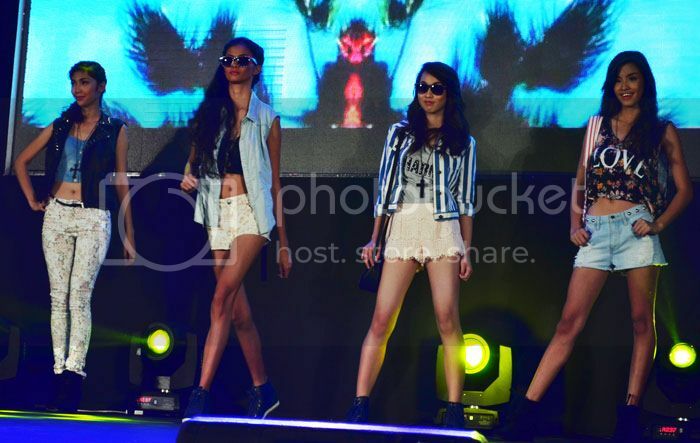 The fashion show showcased the latest and hottest Forever21 summer collection. Gracing the runway were gorgeous ladies flaunting their Vaseline-daubed skin in charmingly mixed and matched top and shorts, floral and patterned trousers. The men in their carefree summer shorts also look stunning. The clothes look so light that truly put on that summer feeling of comfort and ease without forgoing style. The kid’s collections are just great, in fact, a week before this fashion show was staged I was able to score a yellow ballerina skirt for my daughter and she loves every bit of it. The kids’ line are simply fabulous, the models are equally so, they’re so adorable. Forever21's colors and styles of summer are indeed fab, skin-baring, flowing and stunning. You can check out Forever 21 at the ground level of SM Lanang Premier for more of these dazzling collections. 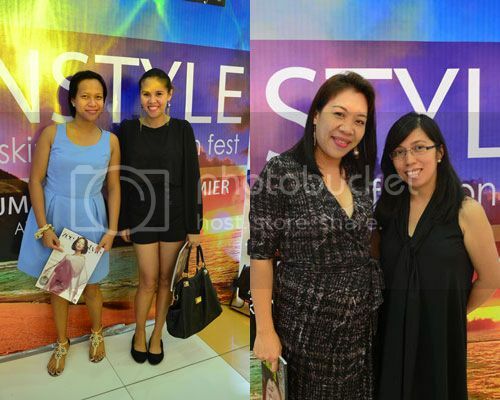 Also at the event were (from left to right) Floraine Balgos, Vanessa Mabini, Woman Elan Vital and Crislyn Nierva. Ah, I can't attend such fashion event, baka magkasala pa ako. LOL But those ladies are really that gorgeous . Oh, I love Forever 21 and that's the only brand I don't have any problem in finding my size. I like Forever21 clothes. Sad to say, I have yet to convince my daughter to like it too before I will buy some. oh look at those models, they are rocking the clothes, you look great in your dress too. Si KUya Papaleng talaga hehehe. Ang tangkad mo pala ate Vernz. models never fail to look so fashionable. natawa ako sa comment ni Papaleng, hehehe! I love the summer collection of Forever 21. Hmm, I'm just thinking if I can wear them. The models are all pretty especially the little ones. Hmmm! Papaleng, I know how you feel. Kaya nga wala kang cellphone diba para iwas sa pagkakasala? LOL! Anyways, F21 is one of my fave clothing style. I love their trendy styles and quality fabrics. They have my size too! well that is just cool. 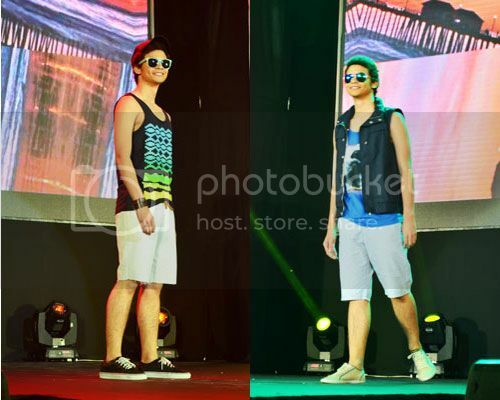 perfect event for the summer... hope meron din dito nya sa cebu... it'd be great to see a fashion show like event. Love the summer collection...I wish I looked like one of those models! For now just trying to figure out how to tighten skin - how to tighten skin.